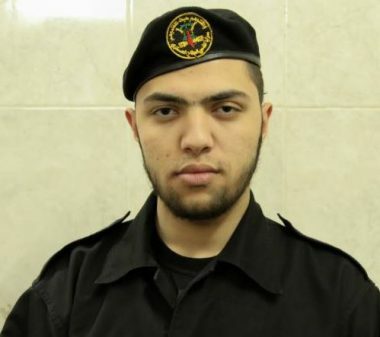 The Al-Quds Brigades, the armed wing of the Islamic Jihad has reported, on Monday evening, that one of its fighter was accidentally killed, apparently during training. It stated that Samed Salah Hajjaj, 25, of the Hitteen brigade in Gaza, was killed by accident, adding that he is from the Sheja’eyya neighborhood, east of Gaza City. Dozens of fighters, from various armed groups in Gaza, have been killed during training, and hundreds of Palestinians were killed in tunnel collapse accidents, or after the Israeli army bombarded the siege-busting tunnels while there were working in them. Some fighters, and tunnel workers, were killed or injured, after the Egyptian army detonated or flooded the tunnel across the border with Egypt. Most of the casualties have been tunnel workers, not affiliated with any group, but resorted to working in the tunnels due to extremely high levels of unemployment and poverty, in the besieged Gaza Strip.